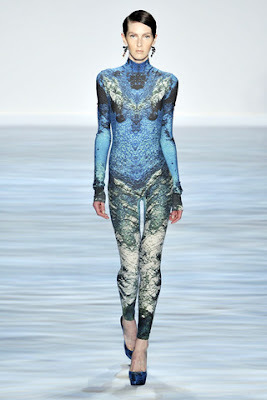 McQueen's apocalyptic foreshadowing of the polar ice caps melting submerging us into a permanent water existence gave us the most innovative show of the season. See, even Fashion Week can't take our minds off of those cute yet sad polar bear commercials with Noah Wyle and the fact that Wall Street might be underwater in a few years (literally not figuratively, figuratively that has already happened). 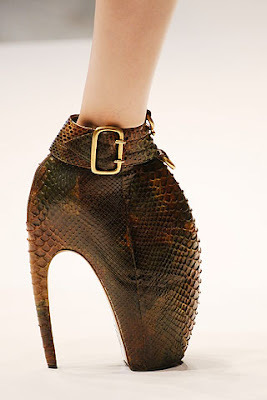 Cause even when the sea level rises and the world is underwater, chic must go on. 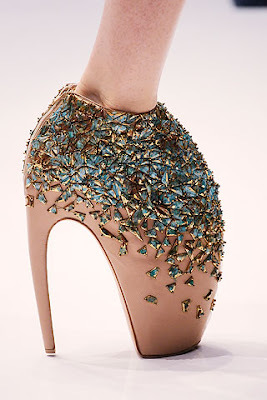 I bet that Victoria Beckham will be the first to wear these 10 inch McQueen shoes! 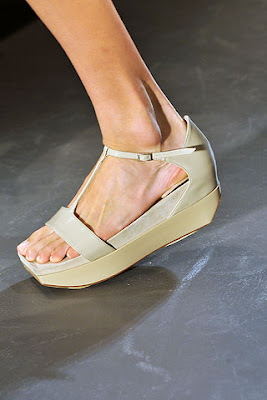 I'd take those shoes over these ugly Calvin Klein platform flats any day.